Email Marketing Woes? Are Your Messages Impersonal and Boring? Anybody who thinks email marketing is dead and gone should just take a look at their inbox as they’re sure to see definite signs of life. Contrary to what many people believe, email marketing is very much alive and well and if used in conjunction with a sound content marketing strategy, email can be extremely powerful for promoting your business. 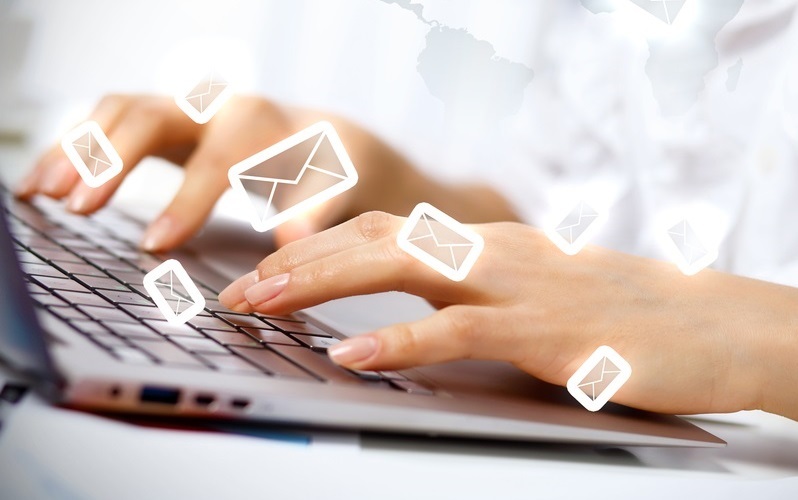 Email marketing has evolved over the years, taking it from simple messages blasted out to scores of random people to a much more refined, mature medium. Just think about each time you’re about to sign up for something new, ask a question, file a complaint or download something. The first thing you’re asked for is your email address. Once a business has your email address, it’s their direct line of communication with you, a prospective customer. The business can then start having conversations about its brands in a more personal space which is your inbox. Even more importantly, the business can use email to try to move you further down the sales funnel. If you’re now convinced that email marketing is something for you to try, here are some tips on what you should do to ensure you’re using the best strategy. It’s been proven time and time again that online consumers are very frustrated when businesses target them with ads, offers and promos that have nothing to do with their interests. Just as frustrating is receiving emails that begin with “Dear customer”. That type of email screams spam and is one that is destined for the trash bin without the recipient giving it a second glance. In order for your email campaign to be effective, people have to actually open and read the emails you send them. This is why you need to personalize the emails starting with the subject line. Personalized subject lines are much more likely to be opened than their generic counterparts. As for the “meat” of your emails or main message, instead of aiming for a sale straight away, let the recipient know that you’re aware of what they’re interested in and that you want to provide them with content that helps them with their needs. This drives engagement because you’re addressing their specific interests. It’s so important in this digital age we live in to add a human element and personality to your business. Consumers today tend to engage more readily with businesses that communicate with them using their brand’s voice. Remember that you want to differentiate yourself from your competitors. The personality of your business is what demonstrates that you are different than others who provide similar products or services. It’s your personality that prompts customer engagement by capturing the interest of your audience, drawing them in. How do you showcase your personality via your email marketing? Start by being human and showing your audience that they can relate to you, that you are approachable and knowledgeable. Mix in a little humor, wit and lightheartedness when appropriate. Write your emails the way to speak to your friends using a not-so-formal, more conversational tone. Most businesses using email marketing include offers in the emails they send and you should too. The best businesses manage to pull this off without sounding pushy, manipulative and overly sales-y. The basic idea with offers is to urge people to get something they really want and need by offering them a discount coupon, sale price or other type of incentive. A good offer feels helpful so when you promote something via email, do it as a friend who is interested in helping the recipient. Should Instagram Be Part of Your Marketing Mix?Are You Making These 4 Classic Content Marketing Blunders?